Written by: Nicole Hamme, Seacrest Studios Intern -- Have you ever watched the show “Dancing with the Stars” (DWTS) and wondered what it must be like to partner up with one of the professional dancers? For Cincinnati Childrenn's Hospital patient, Meghan, that curiosity quickly became a reality. 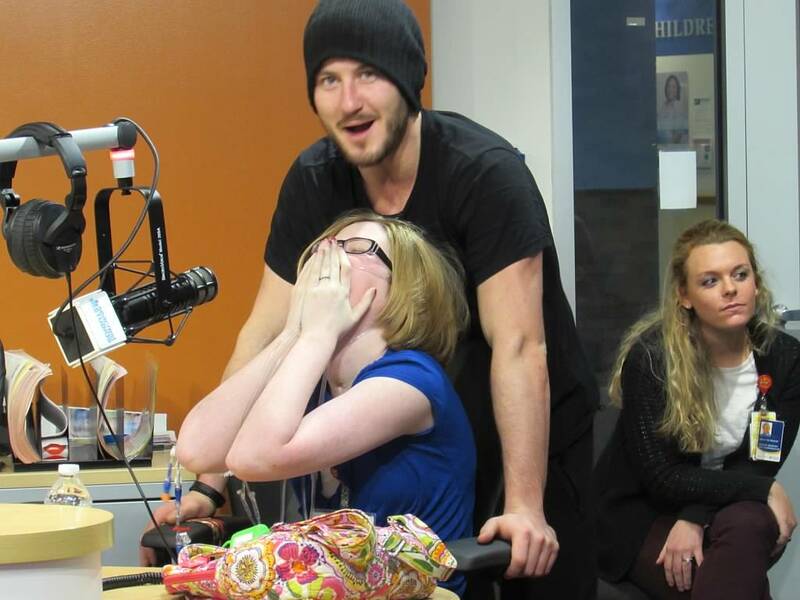 Her dreams came true when her favorite Dancing with the Stars cast member, Val Chmerkovskiy, took her hand and led her in a slow dance to an acoustic version of the Jason Mraz hit I’m Yours. Also in studio to visit patients at Seacrest Studios, Alfonso Ribeiro and his dance partner, Witney Carson, wowed the studio audience by showing off their trademark dance move, “The Carlton,” a snappy move based off Ribeiro’s character from the famous 90s sitcom "The Fresh Prince Of Bel-Air." The patients had a blast interacting with and interviewing the DWTS cast, showing off moves of their own and taking photos with the cast. Before the cast left for their evening rehearsal, professional dancer Mark Ballas and friend Dylan played us a little tune on guitar, giving us an insight into just how talented our special guests are. Not only can they dance, they can sing too! With a new performance in a different city almost every night, our stars are off to travel the rest of the country. We’re glad they were able to visit Cincinnati’s Seacrest Studio and we wish them the best of luck with the rest of their tour!